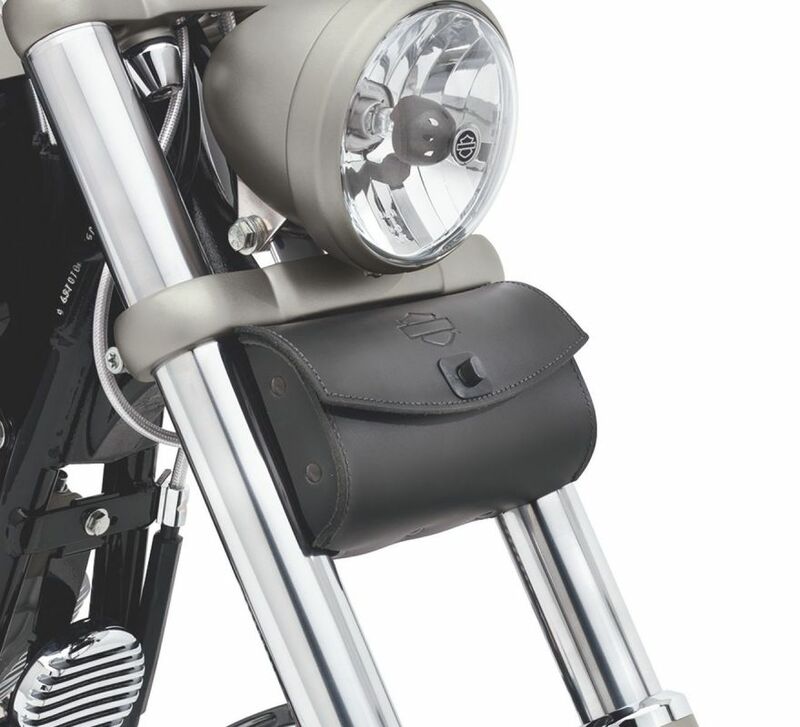 Add a touch of leather up front with this functional fork bag. 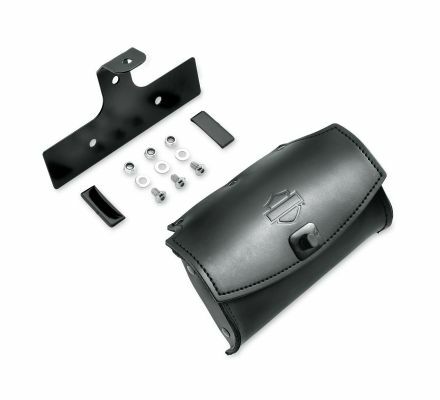 Styled to complement the Softail® Rocker™ model's fuel tank badge and accessory saddlebags, the embossed Bar & Shield makes a simple statement. Fits '08-'11 FXCW and FXCWC models.